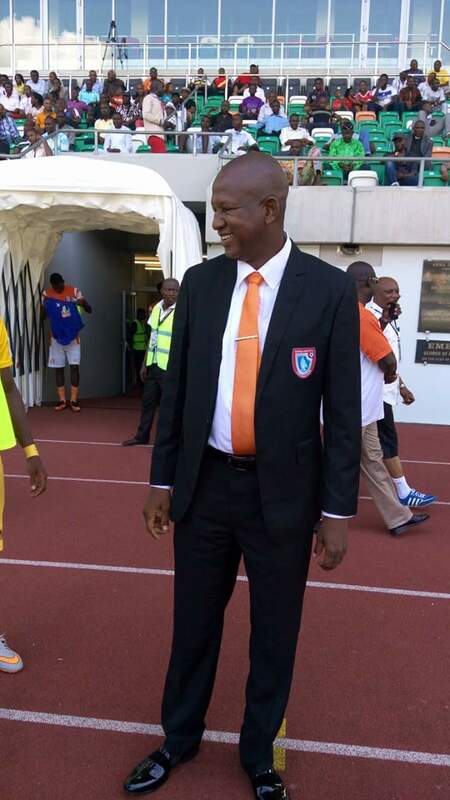 Akwa United handler, Abdu Maikaba says he is confident his side will secure maximum points against Nasarawa United when both sides square up in a matchday 31 fixture at the Godswill Akpabio Stadium, Sunday. Th Promise keepers have been in an impressive form and are looking to boast their title chase with a view of securing their 14th win of the season. Coach Maikaba hopes to build on the vital away point earned at Abia Warriors in midweek. A win for the Promise Keepers will move them to 50 points on the log with eight matches to wrap up the campaign. “This is a very critical stage in the league and we will not leave any stone unturned when we face any opponent”. “Our match with Nasarawa United is a key game for us, that is why we have set a target of picking the maximum three points on Sunday”. “Nasarawa is a good side and they will be coming to Uyo with the hope of getting a result, but we have a very strong team that can beat any team in the league, we want to continue our impressive home form”. Top scorer Alhassan Ibrahim may be not be available for selection after picking up an hamstring injury in midweek. The 2015 Federation Cup Champions have scored eleven, without conceding at the Nest of Champions in their last five matches. In form striker, Musa Newman, is expected to spearhead the team’s quest for victory against the solid miners, with support from Christian Pyagbara, Ubong Friday and Cyril Olisema. The Uyo based team will be counting on support of fans to secure the much needed win.